Every time you share this giveaway, you’re entered for a chance to win everything you see here! I mean, come on! 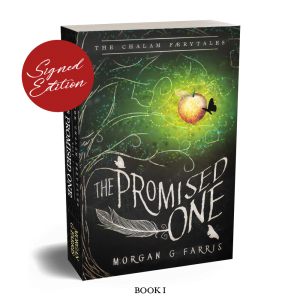 It’s a færytale-worthy book box celebrating the release of Book II of The Chalam Færytales, The Purloined Prophecy by Morgan G Farris! To officially enter, you must sign up below, and then use the share buttons that will appear once you sign up. You are only entered once you’ve signed up. Just sharing the general URL to this page will not credit you because there is no way to track it. However, once you sign up, you’ll be given a unique link to share that will give you credit every time you share it. Plus you can share the giveaway with the other social buttons (Facebook, Twitter, etc. ).